If you’re looking to build upon your undergraduate education, excellent learning and research opportunities await you in Canada. Universities Canada member universities offer thousands of graduate programs (certificates, diplomas, master’s and doctoral degrees) in a multitude of disciplines. Canada is recognized as a world leader in a number of research fields: clinical medicine, information and communication technologies, and psychology and cognitive sciences, to name just a few. 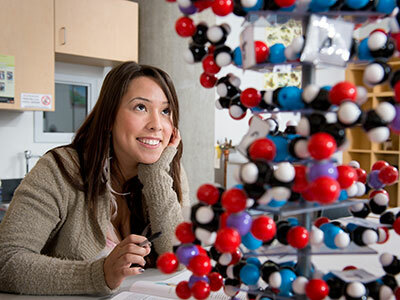 Canadian universities play a key role in the country’s success as a global research player. They undertake 40 percent of Canada’s research and development – one of the highest rates of academic research among OECD and G8 countries. As an international graduate student at a Canadian university, you could be involved in research teams with faculty. You might work on real-life projects with business partners, or conduct independent studies under the guidance of an accomplished advisor. The choice is yours. In Canada, graduate degree programs generally fall into one of two categories: professional or research-based. Professional graduate degree programs prepare students for a specific career or profession, such as business and management, engineering, dentistry, law or medicine. They are generally oriented toward the acquisition of practical skills and applied knowledge. Accordingly, students may follow a more structured series of courses and undertake practicums or internships. In addition to the graduate degree, students in professional programs must often work toward a professional accreditation as well. Although a great many professional degrees are offered at the master’s level, some (such as those in the field of medicine) are technically undergraduate degrees. They nevertheless require the completion of some university study prior to application. Research-based graduate degree programs focus on in-depth study in a particular discipline, such as chemistry, English, French, geography or sociology. They are generally oriented toward theory and research. Students may be required to complete a certain number of courses as well as a thesis under the direction of a professor who acts as an advisor. Research-based master’s programs are often a stepping-stone toward a doctoral program and PhD – the highest form of research degree. Doctoral programs are designed to train research scholars, and in many cases, future academics, although graduates increasingly work in diverse sectors.